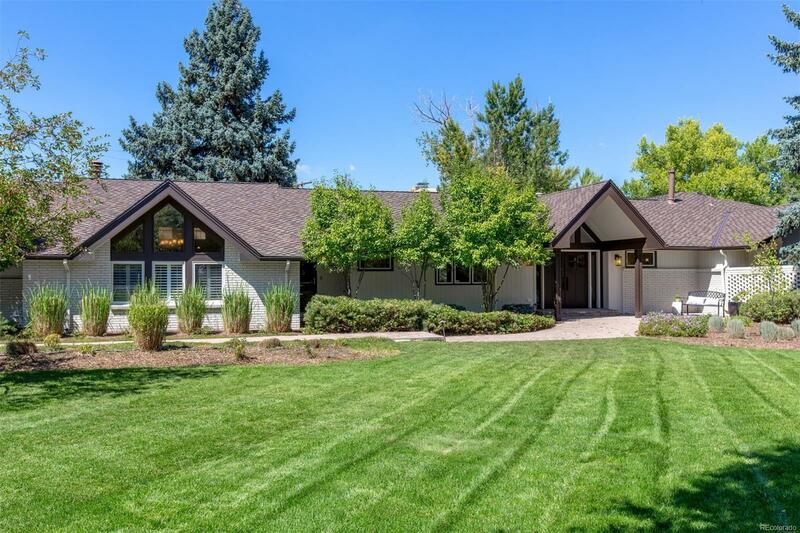 Pristinely positioned on an acre of stately land, located in the center of Old Cherry Hills, this home provides an abundance of space and privacy. Light, bright and open, the overwhelming sense of comfort and relaxation exudes from the entryway into the rest of the home. Double doors lure visitors into the travertine stone foyer accompanied with an inviting living room overlooking the lush grounds. Thoughtful design has combined the entertaining space on one side of the home and privatize the living quarters on the other. 2 en-suite bedrooms are positioned above a large playroom leading to the sprawling backyard. With indoor/outdoor living in mind, the manicured grounds are accessible from all points of this carefully articulated home. Equipped with a playground, lighted full length basketball/hockey/tennis/volleyball/sport court, a fire pit, storage shed and large open space, the back yard accommodates the largest of imaginations and athleticism. Selling Office: Allegiance Real Estate Services, Inc.